Roll up, roll up, for the best tech news you can get your hands on from the last 24 hours or so – in today's selection of headlines, courtesy of our friends at TechRadar, we've got problems with the Apple HomePod, a new Fujifilm camera, and ad-blocking in Chrome. 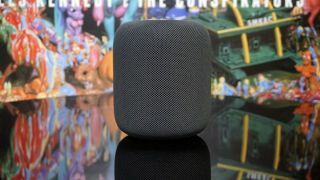 After complaints from reviewers and users on social media, Apple has admitted that its new HomePod speaker can leave white rings on wooden surfaces – it's something to do with the oils diffusing between the silicone bass and the wood. Apple has now updated the product's support page to suggest "placing your HomePod on a different surface", though it does say the marks can be cleaned off, or might eventually disappear on their own. The ad-blocking feature in the Google Chrome browser that we've known about for a while is going live today, which means ads will automatically get stopped if they're too intrusive or too annoying. Google says the aim is to improve the ad experience across the whole web, and has promised to work with online publishers to make sure their sites meet the right standards. You can also exempt specific sites from the Chrome ad-blocking tech. If you're in the market for a new digital camera to use as an upgrade to the one on your smartphone, take a peek at the £1,699/$1899.95 Fujifilm X-H1, the most advanced X Series camera the company has produced yet. The flagship mirrorless camera is aimed at pro photographers and videographers and should make any scene shine, thanks to the in-body image stabilisation, dual processor, and 24.3MP X-Trans CMOS III sensor inside. Now that social networking isn't cool any more, Facebook is keen to spread its wings out into other areas – like smart speakers. Asian news outlet DigiTimes suggests plans are afoot to build a Facebook-branded speaker with a large 15-inch video screen, one that's capable of answering all your queries and video calling your contacts. This is all just speculation for now, so we don't have a price or release date, but stay tuned for more. If you run Windows 10 on your home computer, you'll know Microsoft is constantly updating and refining the software, and we just got word of two major upgrades that are in the pipeline. Codenamed Redstone 4 and Redstone 5, they'll be arriving for everyone later this year, and include some extra power under the hood. Meanwhile, Microsoft is now letting users test out early versions of its Windows 10 apps, like Photos, as well.